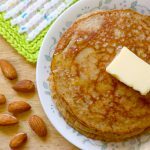 Almond Flour Pancakes - Headbanger's Kitchen - Keto All The Way! It wasn’t more than two days ago that I make Keto pancakes using coconut flour. And here I am today making them with almond flour. The reason is simple. Every time I make something with coconut flour I’m asked if it can be made with almond flour, and vice versa. So it just makes sense to do the same dish with both flours. The truth is they are not interchangeable and they react very differently. Coconut flour absorbs almost doublt the amount of moisture as almond flour does. Almond flour is basically just ground up almonds. So you do have to rework the recipe depending on which flour you use. So here are my Keto almond flour pancakes. Enjoy! I was in quite a hurry to film this episode and I ran out of almond flour. Now believe it or not, the local stores don’t stock almond flour and the one that does only has the expensive one. The cheaper almond flours are sold online. It was impossible for me to order it and receive it in time to make this video. So I decided to make my own. I’m also very lazy. So instead of following my own recipe I just threw the almonds in a blender. This is actually absolutely fine, except that I didn’t grind it fine enough and I didn’t sift it and make a nice fine flour. In the end what that resulted in was a bit of a nutty pancake. Which as you saw, my father enjoyed. I personally prefer it less nutty. What’s your preference? You can use almond flour to make my delicious Keto almond flour waffles. This recipe makes 4 servings. 1 serving = 1 pancake. Get this recipe on myfitnesspal. Melt the cream cheese in the microwave for 30 seconds and then whisk together with the heavy cream. Once cooled add in the two eggs, vanilla extract and mix well. Then add in the dry ingredients. The almond flour, baking powder, salt and pumpkin spice mix. And your batter is ready. You can add a bit of water/heavy cream if you want a runny batter. Heat a non stick skillet and spray with some olive oil. You can use coconut oil, butter or even bacon fat to cook as well. Ladle in the pancake batter and let it cook on 1 side. I like to cover with a lid and kind of let it steam and cook all around. Once cooked for about 2-3 minutes on 1 side on a medium heat, flip it over and cook on the other side till done. 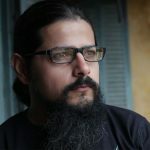 Sahil is the master chef behind Headbanger's Kitchen. He hates writing up recipes because he's a man of few (written) words, but when he's on camera, he's all about the jibber jabber. Somebody stop him. Thank you for all your great work, Sahil! I tried these today and I liked them! I find them a bit too dense to have a couple for breakfast but one as a dessert (which is how your dad seems to have viewed them) works very well. Just wanted to point out that in the video you add some stevia but it is omitted in the written recipe. Thanks again for all the horns-up inspiration! Yeah, definitely, more than dense they are actually very calorie heavy at 200+ calories per pancakes so I can’t eat more than a single pancake in a sitting either. And thank you for pointing that out. I’ll edit the recipe asap! Fabulous! They have a nice crispiness to them, which I love in a pancake. I added extra heavy cream as you suggested because I like a thinner batter. Deeelicious! Made these pancakes for my family and they were a hit! Keep up the great work. where did you get the sugar free maple syrup ? A fan sent it to me from the USA. i just tried the original maple flavor and its amazing . Can you please specify a brand or a HWC sub…? Amul Cream is fine and what I use. Hi Sahil, what is the substitute of eggs? There is none I’m afraid. You could try a flax egg. Just google it. Waffles – love the crispy, crunch of a great waffle. Fist.. every recipe I have tried has been amazingly delicious. Can this pancake recipe be refrigerated before cooking? Is so, how long? Yes you can keep it for a couple of days actually I think. Which is best, coconut or almond flour pancakes? Well since I don’t enjoy nuts that much I preferred the coconut flour ones. Hello, awesome recipes!! Thank you. 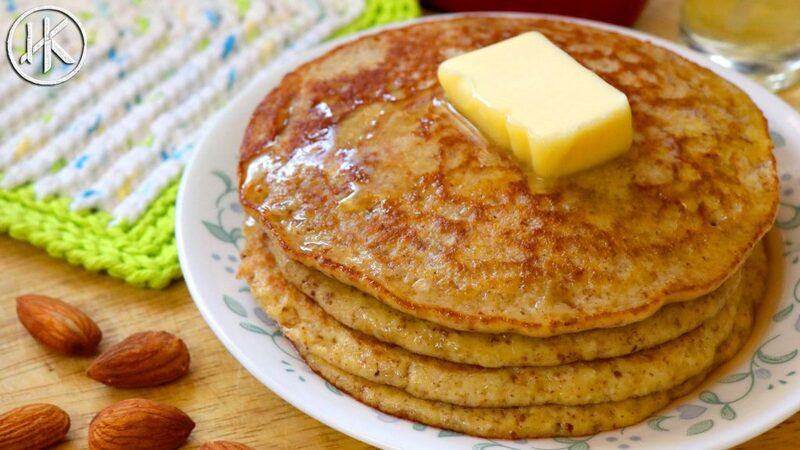 Hey just regarding your almond flour pancakes; I see you have them at 6 carbs per pancake, but yet all the ingredients, other than the flour, are virtually carb free – so wondering why so many carbs per cake? hey that’s 6 net and 3 total. Eggs have carbs, almond flour has carbs, cream cheese has carbs. Whipping cream has carbs. They are all low carb but they are not carb free 🙂 hope that helps. You are awesome, I love the pancakes. I used the cinnamon and was perfect. Thanks for making enjoyable and easy to learn. Horns up and welcome to Headbanger’s Kitchen! 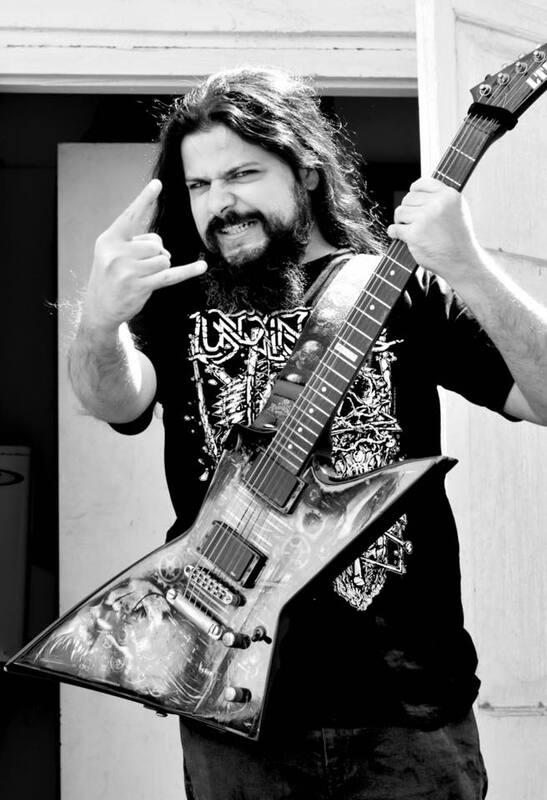 I’m Sahil Makhija – YouTuber by day and metal musician by night. I’m passionate about food and cooking and currently on a mission to make the Keto diet easy, tasty and very achievable. Cheers, and keep cooking!